Tesla-SolarCity Deal Promises Vast Synergies: But Can It Deliver? What do cars, solar cells and backup battery systems have in common? That’s the question a lot of analysts and investors are asking now that it appears that Tesla Motors will go ahead with its controversial purchase of solar power company SolarCity. "Tesla's acquisition of SolarCity is yet another proof point that there's an enormous transformation occurring in the trillion-dollar energy and transportation sectors," said Jurich. "Home solar companies who are already in over a millions homes across the U.S. are uniquely positioned to win consumers' trust as they deploy solar, storage and electric vehicles in their homes." 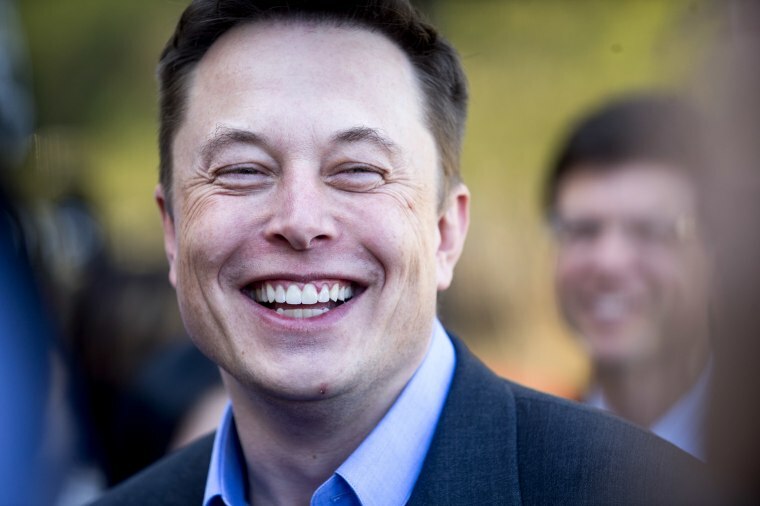 To those who see the positive side of the acquisition, the tie-up between Tesla and SolarCity “is really all part of solving the sustainable energy solution,” as Musk put it Monday morning, during a conference call with financial analysts. While the very name Tesla Motors suggests that the 13-year-old California firm builds cars, Musk has been actively pitching the company as a broader, clean energy company. It is in the process of building the world’s largest lithium-ion battery plant in Reno, Nevada. And those batteries will be used for any number of alternative applications. That includes Tesla’s own Powerwall, a battery backup system. To Musk, the next logical step is to not just switch from gasoline to electricity but to find a way to let consumers both clean up the energy grid and, where possible, cut the cord entirely by switching to alternative power sources — preferably SolarCity’s solar panels, it would seem. There are some fundamental advantages to alternative energy. Automobiles, for example, can be made be clean and energy efficient and, at least, on a per-mile basis, they’re a lot cheaper to run than a vehicle operating on gasoline — even with today’s cheap fuel prices. Solar cells, meanwhile, can tap the virtually unlimited energy coming from the sun and use that to run a home or charge an automobile. The South African-born executive bills the acquisition as a way for to achieve maximum synergies by overcoming the drawbacks of sustainable power. “With solar, you really need to combine storage,” like the PowerWall system, according to Musk. “Naturally, you need to buffer that power because people want energy 24 hours a day,” even when the sun isn’t shining. While Musk’s grand vision might seem to serve up a threat to the established electric utility companies, proponents insist that the Tesla/SolarCity deal shouldn’t be seen that way. There’s a growing push across the country for utilities to switch to greener energy sources, as well. And having more customers putting solar energy back into the grid is one option, they contend. Not all utilities are pleased with the growth of residential solar power, however. Some are pressing regulators to back down on rules that actually pay consumers for any excess energy they feed back into the utility grid. For true believers, the Tesla/SolarCity deal makes inherent sense. There has been much discussion of potential conflicts of interest because Musk’s cousin is the solar company’s CEO and Musk himself serves as SolarCity’s chairman. But he insists “the conflicts of interest are if we don’t merge,” because that makes the potential synergies all the more difficult to achieve. For his part, S&P analyst Efraim Levy was upbeat about some aspects of the SolarCity acquisition, writing to investors that, "We see benefits from a combined solar/storage offering and manufacturing efficiencies.” On the downside, however, Levy said he “remain(s) concerned about cash flow and capital needs” of the combined companies. That’s an issue a number of analysts and investors are expressing, Tesla stock taking a sharp hit after the announcement of the SolarCity deal. Tesla is already struggling to fund the car side of its business. It had to issue nearly $2 billion in new stock earlier this year, just to fund the final development of its Model 3 battery sedan. It is investing billions into the Gigafactory to produce lithium-ion batteries that it can only hope will be needed for electric vehicles, battery backup systems and other applications. Now, it faces the prospect of having to fund its solar efforts. Yet, battery cars will account for barely 1 percent of the record 17.5 million automobiles likely to be sold in U.S. market this year. And only 1.4 percent of single family homes have solar power, according to industry and government data. So, despite his enthusiasm, Musk will have to work harder to prove that acquisition will actually yield real benefits and help expand the top-to-bottom demand for residential clean energy solutions.